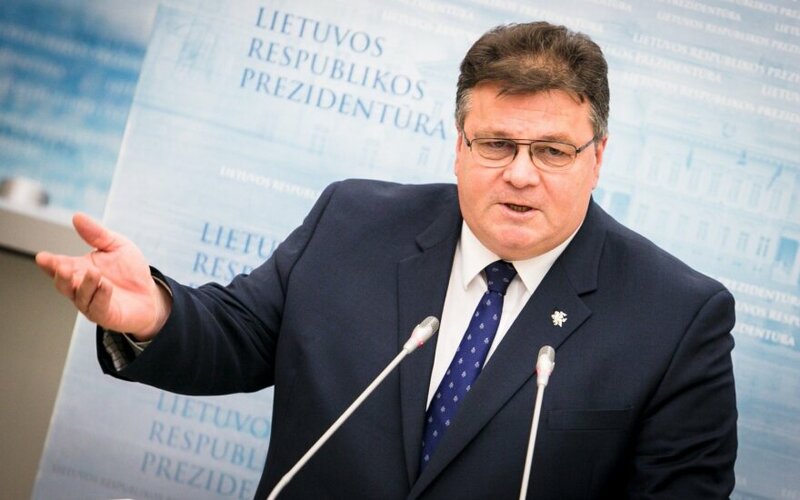 Foreign Minister Linas Linkevičius admits that Lithuania has so far failed to fully convince its neighbors regarding threats posed by a new nuclear power plant under construction in Belarus and Vilnius' initiative to block electricity from the facility. "Perhaps we do not have a clearly expressed support now, but my colleagues both in Latvia and Estonia have communicated their understanding. The European Commission's position is clear. I have spoken with First Vice President Frans Timmermans and to Federica Mogherini. This is on the focus area in talks with Belarus," Linkevičius, who this week started his second term as foreign minister, told BNS. "I am certain that we will not back down on this. I agree that there is no breakthrough in understanding yet, but I believe that we will achieve it," he said. In Linkevičius' words, Belarus must understand that Lithuania "is seriously analyzing ways of not buying electricity from the unsafe facility". "(Lithuania) alone cannot block everything and yet we must achieve this. If we accelerate the synchronization, this will give us another argument," the minister said, referring to plans to connect the Baltic power grids to the Western European network for synchronous operation. "But if we at least agree on the method -- we, all three Baltic countries, must to decide that the route will go via Poland, Poland must agree to that, and then seek support from the European Commission -- and if everything gets going, this will send a very clear message. I agree that there is no breakthrough in understanding, but that does not mean we have to stop and throw in the towel. With the facility being so close to the (Lithuanian) capital, we will not yield on this matter," he said. Speaking about Lithuania's relations with Poland, Linkevičius said that the two countries "are destined to cooperate". When asked about Lithuania's position on Brexit, the minister said that he did not approve of calls "to punish the British". "Our strategic goal is to keep them as close as possible both in trade and security matters. The British are confident that they will be even more active in solving European security issues and we are inclined to speak with them without waiting until Brexit happens," he said.